Samsung recently launched their new Samsung Galaxy S6 Active smartphone, the handset is a more rugged version of the Galaxy S6. 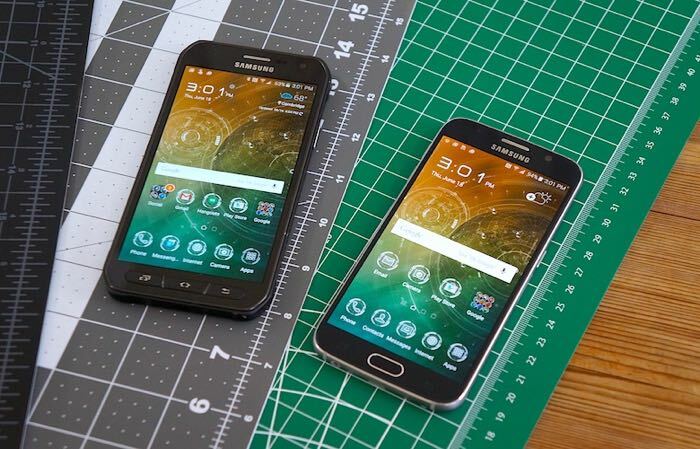 The video below shows the difference between the Samsung Galaxy S6 Active an the Samsung Galaxy S6. The Samsung Galaxy S6 Active is exclusive to AT&T in the US and the handset comes with a 5.1 inch Quad HD resolution of 2560 x 1440 pixels, processing is provided by an eight core 64-bit Samsung Exynos 7420 processor,it also has 3GB of RAM and 32GB of built in storage. Other specifications on the handset include a 5 megapixel front facing camera and a 16 megapixel rear camera, the handset also comes with Android Lollipop, WiFi, Bluetooth and 4G LTE, the device features a rugged casing and it is designed to be both dust and waterproof.